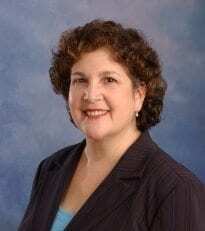 Mindy R. Wertheimer, Ph.D., LCSW, is director of the MSW program and clinical professor in the School of Social Work. She is an associated faculty member in the Nonprofit Studies Program. From 1994 to 2008, Mindy served as the School’s first director of field education, and in this role, she established a field education consortium with University of Georgia and Clark Atlanta University. Mindy received her M.S. in Social Work from Columbia University and her doctorate in higher education administration and leadership from Georgia State University. Mindy works with nonprofits around capacity building with both staff and board members. It includes strategic planning; team building; board assessment, development and orientation; volunteer/staff relations; and other board governance issues. She conducts trainings/workshops on a range of issues, including board governance, leadership development, and the CEO-board chair partnership. Mindy is a past-president of the board of directors of Jewish Family & Career Services in Atlanta and has served on other nonprofit boards. Mindy presents her work at national and state conferences and has published in professional journals. Her dual research interests focus on nonprofit board governance and social work pedagogy. Mindy is the author of The Board Chair Handbook (3rd ed. ), published in 2013 by BoardSource.